Pivot made the switch to NationBuilder in August of 2012 and since that time it has changed almost every aspect of the way we work. For a decade, we ran Pivot with numerous different "solutions" all doing different parts of our work. We had a donor database tracking donations, a system for setting up and running events, a volunteer database, an email service, the list goes on and on and on. Most of these pieces did not talk to each other and only a handful of them were integrated with our website. The task of bringing all of this information together in a coherent way that provided any sense of meaning was overwhelming. More often than not, data (donor information, volunteer signups, supporter endorsements) was left in stacks of paper (or spreadsheets!) condemned to sit uselessly forever. In 2010 I started to dig around for a better solution. Upon doing my research and talking to people, I started to realize that no-one had solved this problem in a way that was affordable to a small non-profit organization. I almost signed a deal to deploy a SalesForce solution that I am sure would have been amazing – however, it was going to cost $15,000 upfront to build it to suit our needs. There would also be an ongoing service contract. Around the same time as I was rejecting the SalesForce deal - in a strange bit of Pivot luck - Pivot founder and my predecessor, John Richardson, went to the Personal Democracy Forum in New York and saw developer and activist Jim Gilliam give a presentation entitled “the internet is my religion. ” He sent me the video. I started to dig up info on Gilliam and quickly came upon NationBuilder. The original reason I wanted to switch to NationBuilder is because it could solve a very specific problem: it could link our supporter records with our email list. My goal was to be able to compare our communications with our fundraising and make sure that both were integrated and effective. The more I read about NationBuilder, the more I realized that not only could it solve the link between communications and fundraising, but it could solve a number of the other issues Pivot had been living with for years. NationBuilder provides a one-stop solution for website, email, social media, and donations. NationBuilder does not connect your website and database – it is your website and database. You can custom build your website using standard NationBuilder templates (almost everything you would ever need as a non-profit organization). Every page on your website feeds into your Nation (database), building your email lists, donor lists, volunteers lists, and whatever else you need. At Pivot, we were lucky enough to have a very skilled volunteer (and the support of the team at C Street Campaigns) who was excited to learn NationBuilder and work with the templates to build our current site. He took the design and site map that we had built the previous year and converted it into a NationBuilder site. We canceled our Mailchimp subscription (although Mailchimp was amazing), set up email templates in NationBuilder and began doing our email communications through our Nation. We also began accepting donations on our website instead of going through (and paying) a third party site and have all of our key staff tweeting and posting to Facebook through NationBuilder. With all of this activity in one place we are able to build a much better picture of our supporters. We have a better sense of who our donors are, what they are interested in, and which Pivot issues resonate with them. Supporter profiles in NationBuilder contain their recent activity (tweets, event RSVPs, volunteer shifts, donations). Supporter profiles also highlight the interactions we have with supporters - things such as phone calls, mail, emails, meetings, etc. All of this together has provided a much fuller picture of the Pivot audience allowing us to judge the effectiveness of our communications and fundraising and rework them when necessary. NationBuilder was built out of political and advocacy campaigns and as a result has connecting with people at its core. It has many intuitive features that record and track connecting with people in your Nation. The best part of these features is they are searchable and provide users with accurate, up-to-date information about connecting with supporters. Last Christmas, we used NationBuilder to build on our regular holiday fundraising appeal. We searched our Nation for people who had donated in the past and had recently connected with us (at an event, on twitter, etc.) and then set up a call team to contact them about making a year end donation. The calling was done in the evening and the following morning we entered all the information from the night before. By the end of a week of calling we had a very clear picture of how our calling was doing (how many people we were getting through to, how many people were donating, how many people were happy to hear from us) and whether it was time well spent. We used the data from our Christmas calling to define the parameters (as well as our expectations) for our spring donor drive. One of the biggest differences NationBuilder has made to our work is the automated volunteer signup. Pivot relies on hundreds of active volunteers to move our work forward. Over the years we have had a lot of different systems – none of which worked very well. We were either spending too much organizing volunteers (maximizing their involvement – but taxing our capacity) or too little time focused on volunteers (missing the opportunity that people power can provide to any non-profit organization). Our volunteers are some of our strongest supporters, evangelists, donors, and we were looking for a volunteer database that was intuitive, promoted engagement, and provided accessible volunteer lists. NationBuilder has definitely answered the call. NationBuilder has a built in volunteer sign-up page template that allows you to set roles (and shifts!) for your volunteers. At Pivot we set up 5 different roles. People sign up on the website and then self select their role. In doing so they end up “tagged” in our Nation as “lawyer” or “admin” and then we use that list to send out monthly volunteer opportunities for that type of volunteer. This system has significantly increased our volunteer power because we are matching people with their preferred volunteer role – connecting their skill set with our organizational needs. It has also killed most volunteer data-entry because people are signing up (doing their own data-entry) themselves on our website. Signing up to volunteer also adds people to our Nation, meaning they receive our email updates, event invites, and fundraising appeals - so it is helping to grow our list of supporters. We are currently having 10 volunteers a week sign-up on our website. NationBuilder has changed the way we work at Pivot. It is an affordable one stop solution that has helped us make deeper connections with our supporters, build our base, and work smarter. NationBuilder is helping us get better at using the law to change the world. 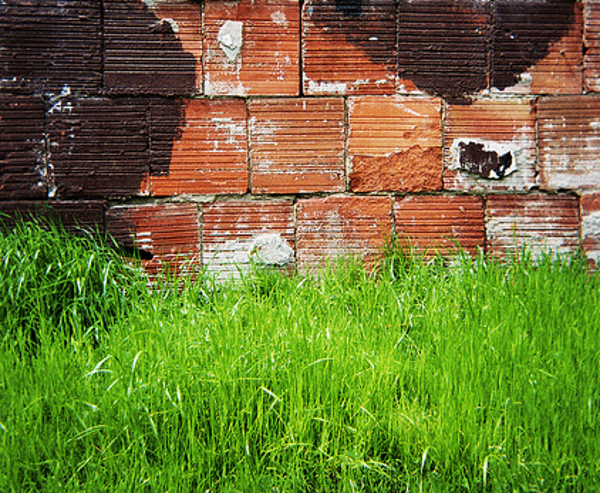 The Grass & Brick photo in this blog post is from the Hope in Shadows calendar project - a community driven project that empowers residents of Vancouver's Downtown Eastside to capture the spirit of the neighbour through photography. The photo at the top was selected by cStreet from the Pivot Legal Facebook page.